MORENCI, Mich. - More than eight years after three Morenci boys disappeared, investigators remain vigilant in their search for the children. The lead investigator, Detective Lt. Jeremy Brewer, with Michigan State Police, said police rely on citizens and continued publicity to help them solve the case. "We really need the eyes and the ears of the public to help us," he said. John Skelton said that he gave his sons to an underground group to get them away from their mother, Tanya, who he claims was abusive. 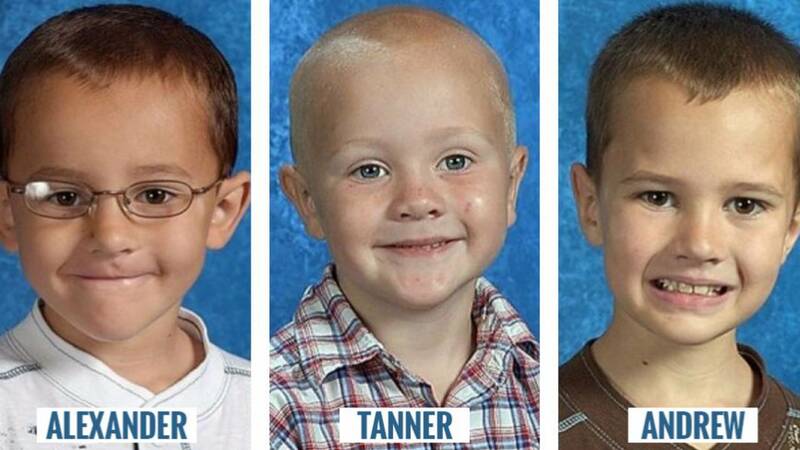 Andrew, 9, Alexander, 7, and Tanner, 5, have been missing since the day after Thanksgiving in 2010. Brewer said there's nothing that backs up John's story, though. "We have went to the ends of the earth to investigate anything related to this underground organization and there's been no validity to what he's told us in that regard," Brewer said. Alexander, Tanner and Andrew Skelton. John, who is serving time for unlawful imprisonment, has said he's given police all the information he has. His family has supported him, but recently, they've started to realize he may not be telling the whole story. "He's hiding information," said William Skelton, John's father. "I kind of got a speculated idea of what it is, and basically I told him, 'It's time to put the whole story out there, not just bits and pieces that are probably the truth, perceived to be the truth, but you've got to put the whole story out there.'" William said he probably won't see John until his son reveals the full story.